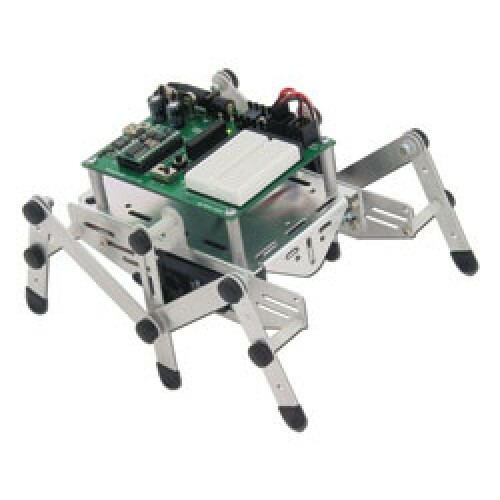 BoeBot Robot Kit is the most comprehensive reprogrammable robot kit. We're particularly proud of Andy Lindsay's Robotics with the Boe-Bot text. The Robotics text includes 41 activities for the Boe-Bot Robot with structured PBASIC 2.5 source code support and bonus challenges with solutions in each chapter. Starting with basic movement and proceeding to sensor-based projects, customers quickly learn how the Boe-Bot is expandable for many different robotic projects. No previous robotics, electronics or programming experience is necessary. 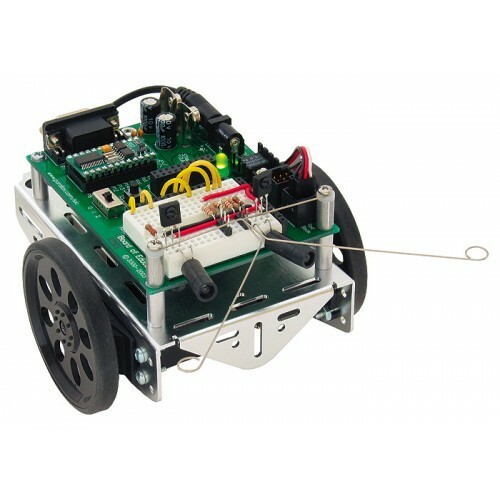 The Boe-Bot Robot is built on a high-quality brushed aluminum chassis that provides a sturdy platform for the continuous rotation servo motors and BASIC Stamp® module's Board of Education carrier board. Many mounting holes and slots may be used to add custom robotic equipment or off-the-shelf Parallax add-ons. The rear wheel is a slider ball held in place with a cotter pin. Drive wheels are molded to fit precisely on the servo spline and held in place with a small screw. What really makes the Boe-Bot unique is the BASIC Stamp microcontroller's flexibility of programming when coupled with breadboard circuit construction. Following along in Robotics with the Boe-Bot, users quickly learn about embedded projects, from wiring and components to programming and mechanical dependencies.